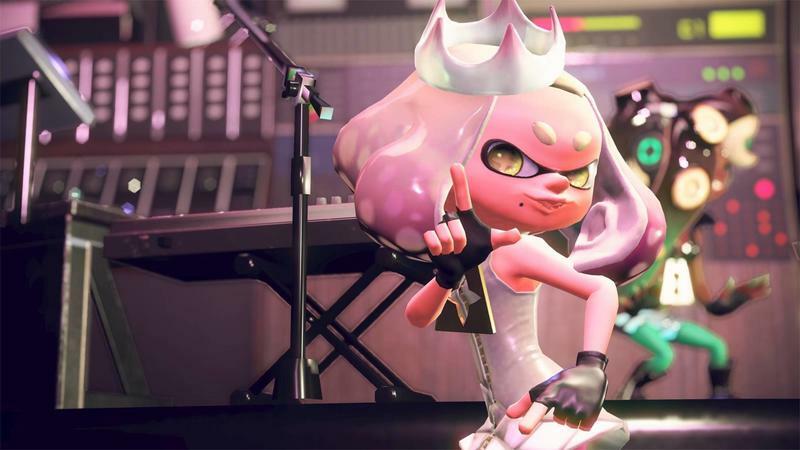 Splatoon 2 review: Should this have been a sequel? 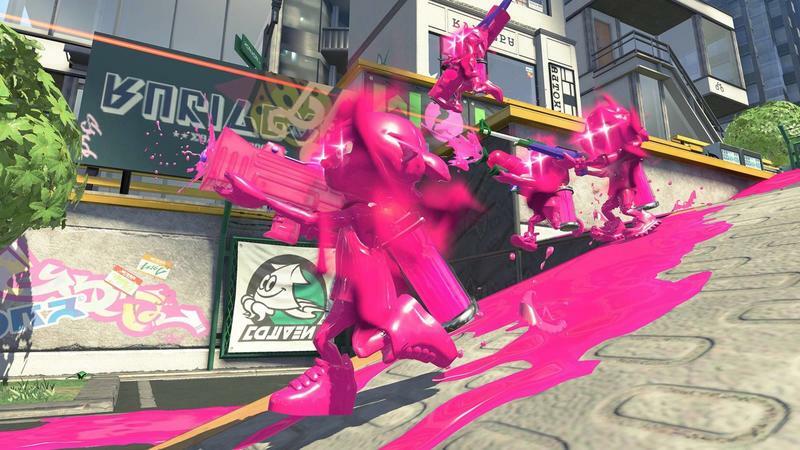 I loved the original Splatoon. Its lack of content hurt it at launch for me personally, but long term support turned it into one of my personal favorite games on the Wii U. I put it right next to the likes of Pikmin 3 and Donkey Kong Country: Tropical Freeze. 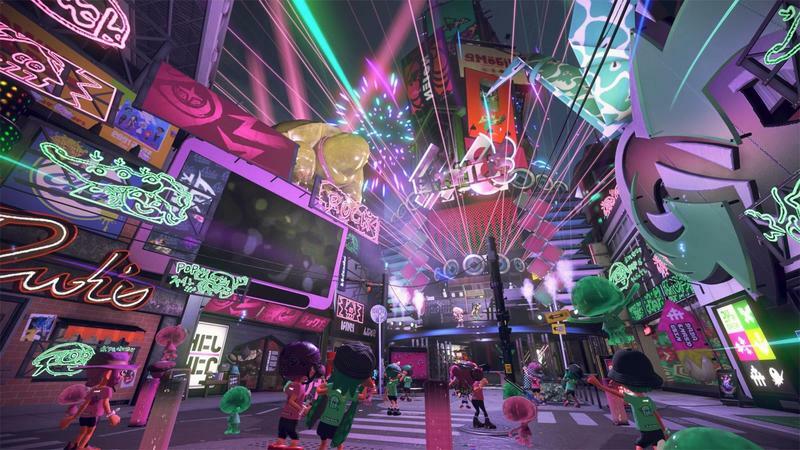 I've spent most of July so far with Splatoon 2 on the Nintendo Switch. I'm having fun, short of a few gripes here and there. It's the same multiplayer adventure I fell in love with two years ago, though now it has improved graphics, a dynamic resolution up to 1080p at 60fps when docked (up to 720p at 60fps undocked) during multiplayer, new weapons, new gear, new game types and a new mode. What I'm struggling with right now is this: is this a proper sequel? For those who never owned a Wii U, that question is pointless. For those who did? 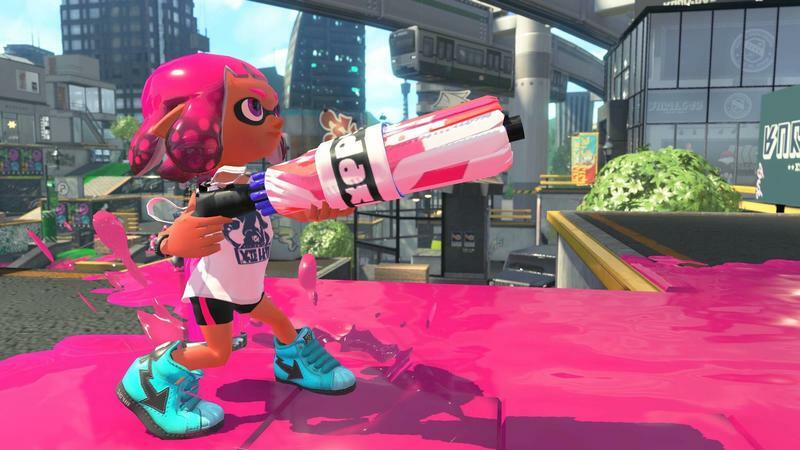 For those who dumped tons of time into Splatoon? This feels like two years of DLC released as a new game. Which I'm not necessarily crying foul about. I like Splatoon 2. I'm having fun every night after I put my kids to bed, flip on my Switch and get inking. I just feel like I've done most of this before. New in town? 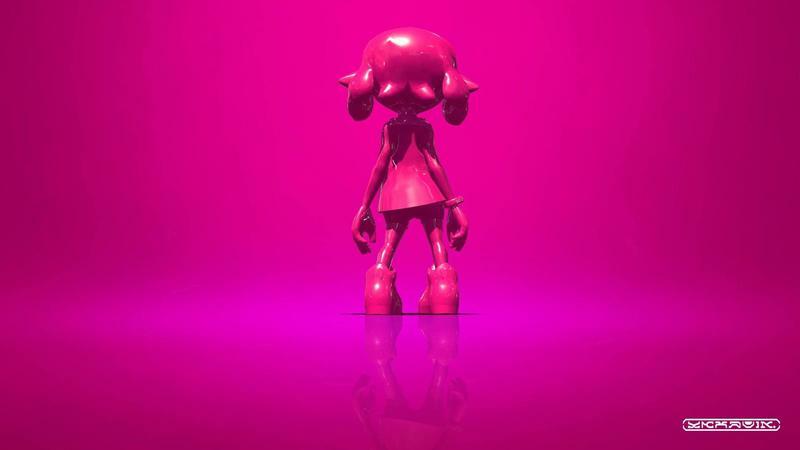 Get Splatoon 2. 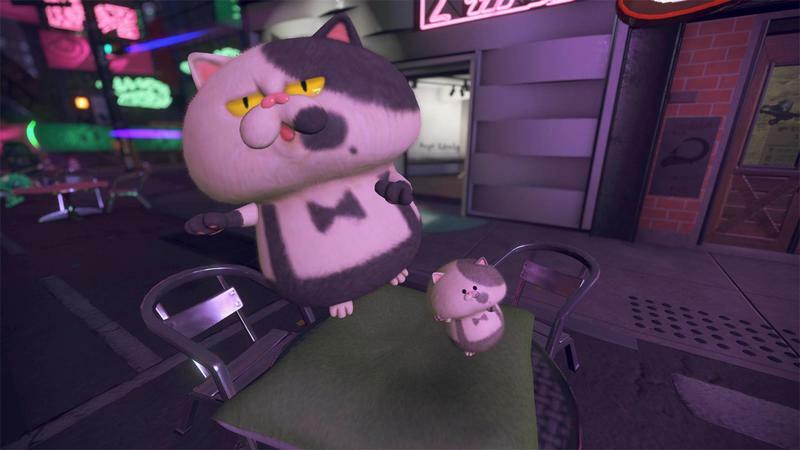 If you skipped the Wii U (face it, lots did) or you completely missed the Splatoon bus two years ago, you'll want Splatoon 2. 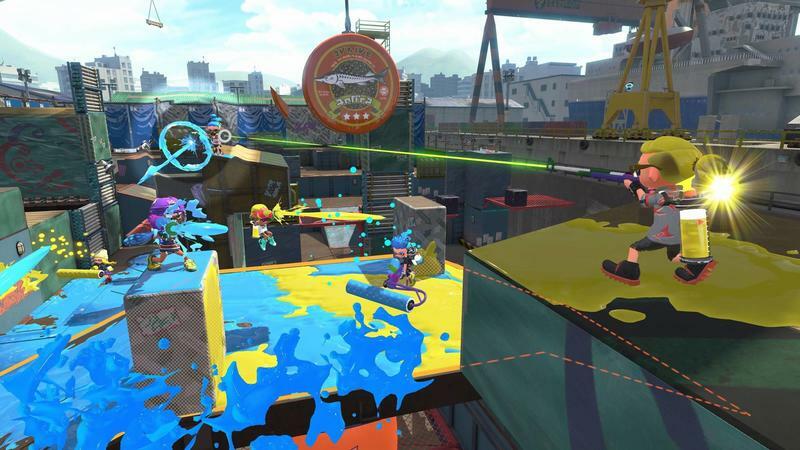 This game essentially takes the competitive shooter genre and reinvents it with a world steeped in ink and packed with Squid Kids. You've never played a shooter like this. 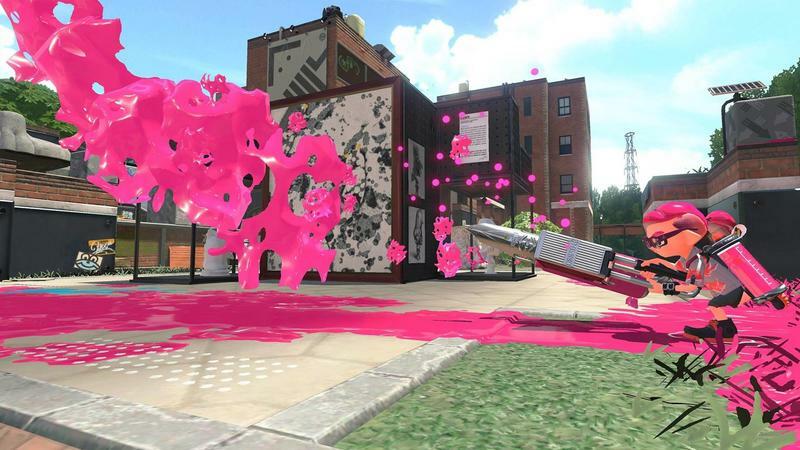 In Splatoon, players compete to cover the map in their team's ink. 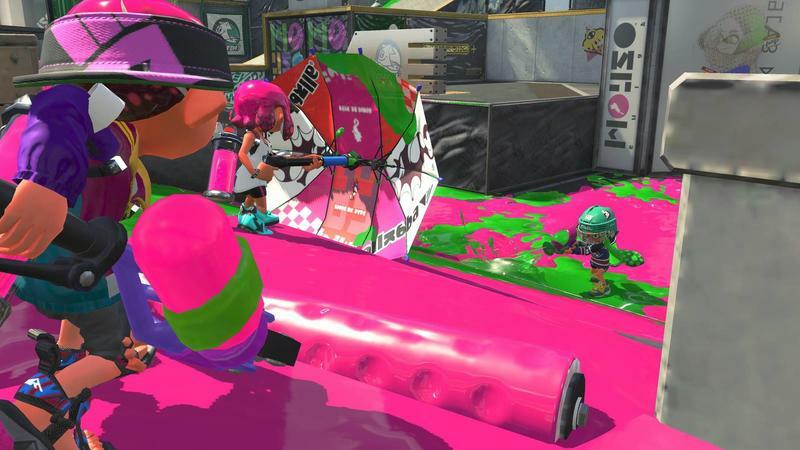 In Turf War, the standard multiplayer mode, each team races to cover the ground in their color. 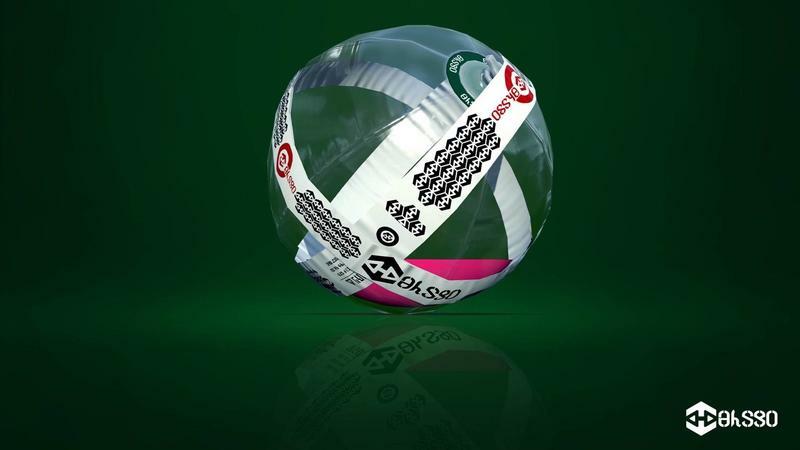 At the end of the match, the team that's covered the most turf wins. It completely changes the way the shooter feels. 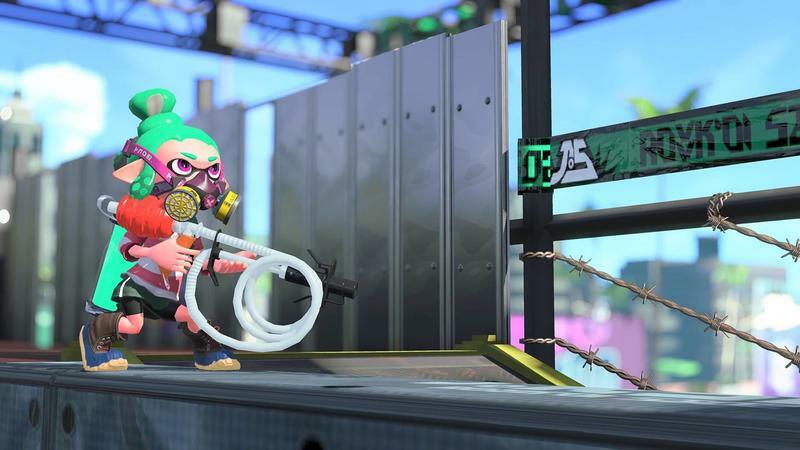 Yes, you have unique guns and tools at your disposal to cover the ground and splat your enemies, and you can also charge and use special attacks, but the whole feel of the game is entirely unique. 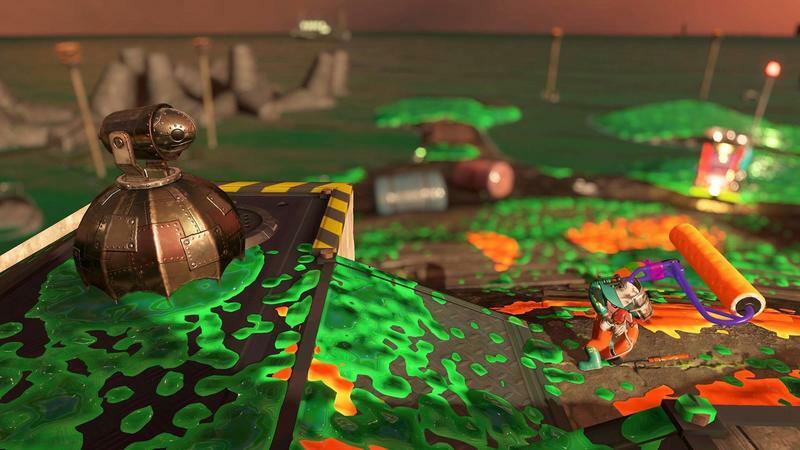 The contest to cover space is unlike anything I'd ever played before Splatoon, and that feeling has stayed fresh for the sequel. 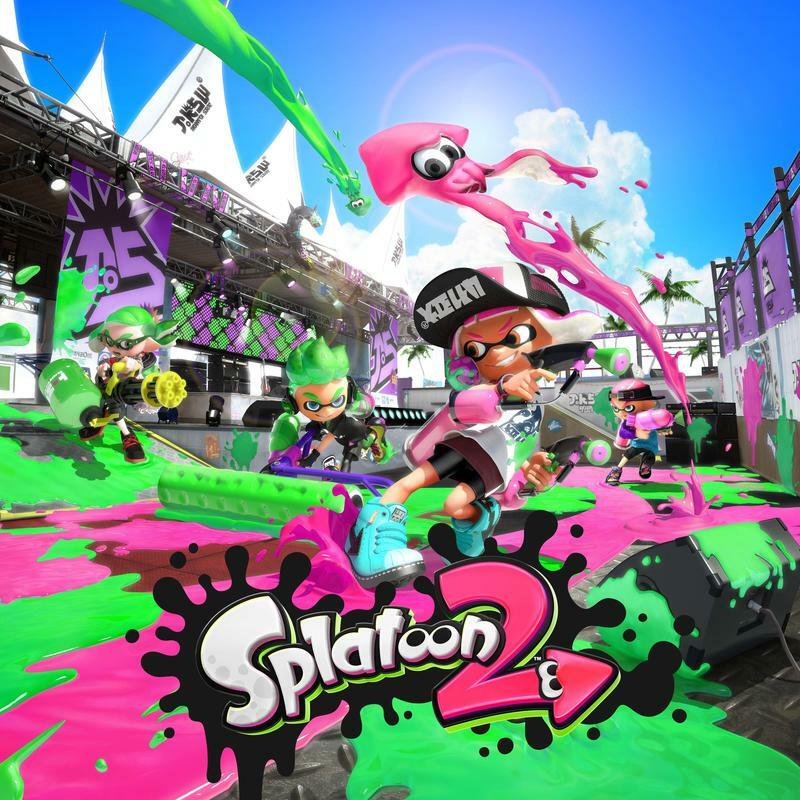 This game will score you a single player campaign that's a collection of missions, a fairly robust multiplayer arm that includes multiple modes of play and a cooperative multiplayer known as Salmon Run that's Splatoon's take on Horde Mode. 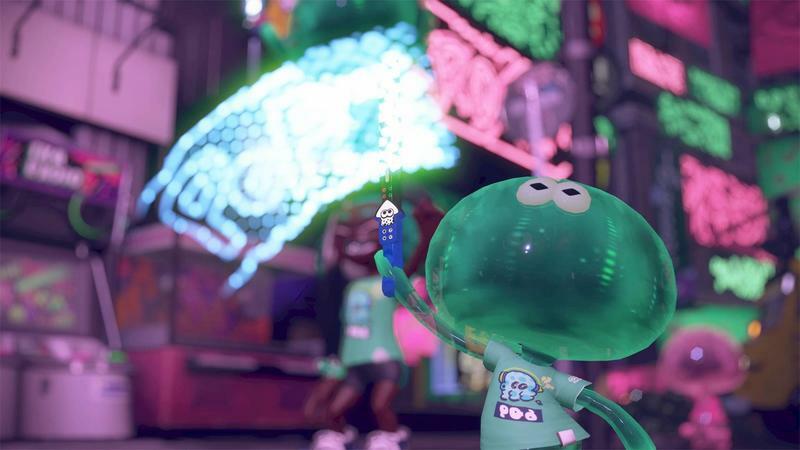 You'll buy and level up gear and clothing along the way to make your Squid Kid both fashionable and fearsome on the battlefield. It's a rewarding experience that you won't find anywhere else, and it's a good reason to own a Nintendo Switch. Returning players will know what they're getting here. That's not necessarily a bad thing as the first game was so strong, but expect more incremental upgrades than a full on new way to play before you dive in. 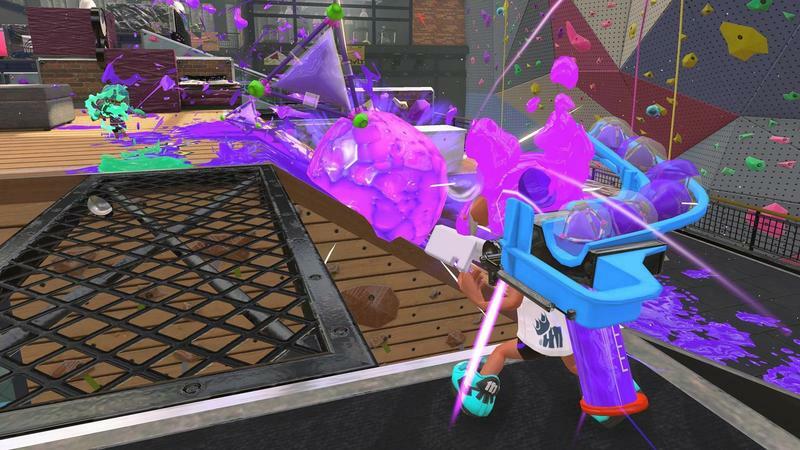 With the Nintendo Switch, you're afforded lots of ways to play Splatoon 2. 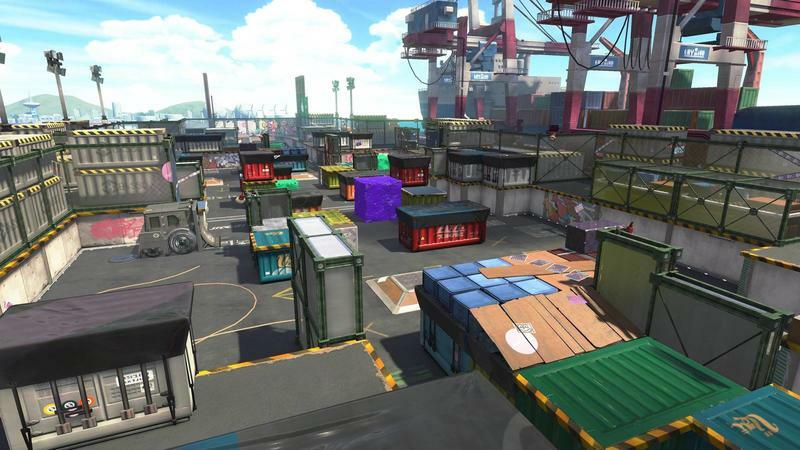 You could dock it and play with Joy-Cons. You could use your Pro Controller. 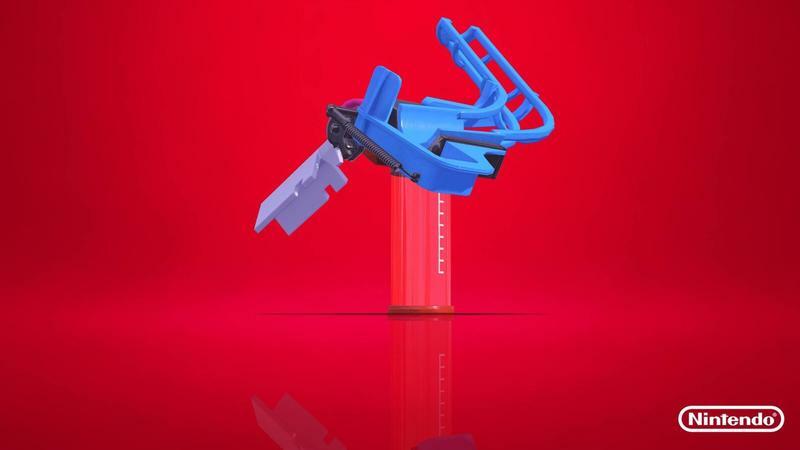 You could take it on the go and use Joy-Cons. Or, you could play it as a handheld system. I have two preferred modes of play. At home, I liked Splatoon 2 best docked and with the Pro Controller. The motion control in the controller is actually solid, so aiming on the fly felt just as good as it did with the Joy-Con. 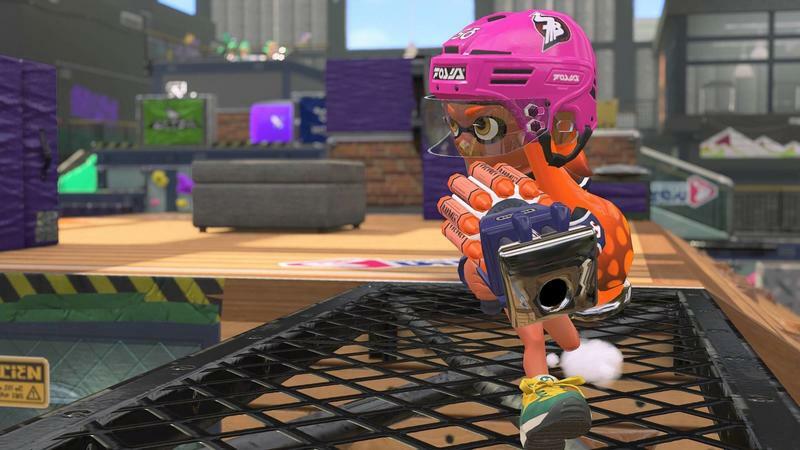 Splatoon 2 features a great sensitivity tweaker here, so you'll be able to hone this to your liking. On the go, I prefer the experience in handheld form with the Joy-Cons attached to the Switch itself. You have a separate set of sensitivity sliders for when you play in handheld mode, so you can get granular and specific with how each feels. My one complaint is that I could never really find a batch of settings that felt great for my daily train commute. With motion control off, I found that I couldn't really adjust the sensitivity on either stick to my liking. With motion control on, I couldn't find the happy space between insensitive and too sensitive. As the train bounced and bobbed on my ride, so too did my aim. 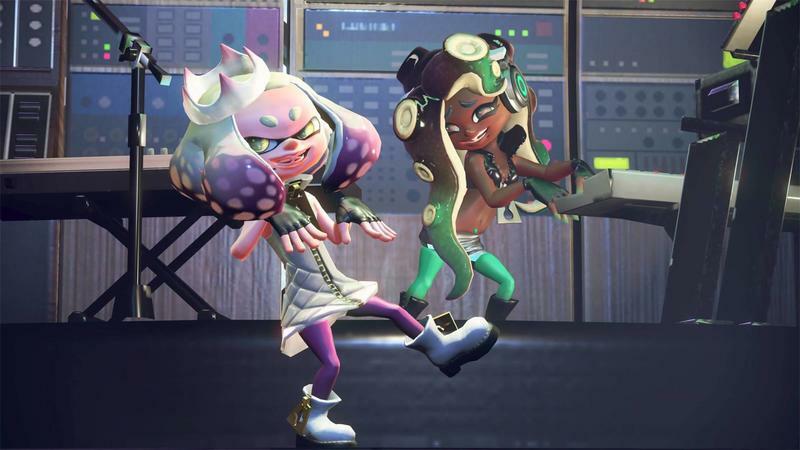 Consider that a personal gripe, not a fault I take with Splatoon 2. If you intend to play on the go, I think this game will be great; but, you should expect to have some trouble finding that control sweet spot if your commute is a tad bumpy. 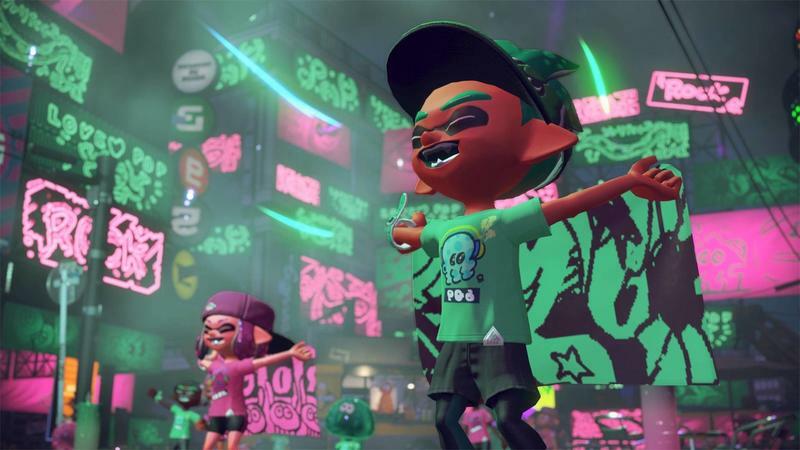 Splatoon 2 is really almost there. I do have my issues, though. 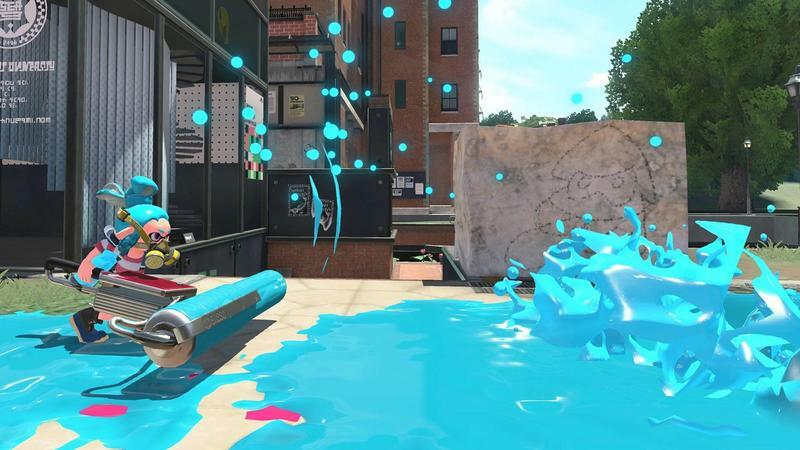 That core formula of covering stages or spaces in ink works really, really well, so my problems with the game wash away thanks to the main mechanics. 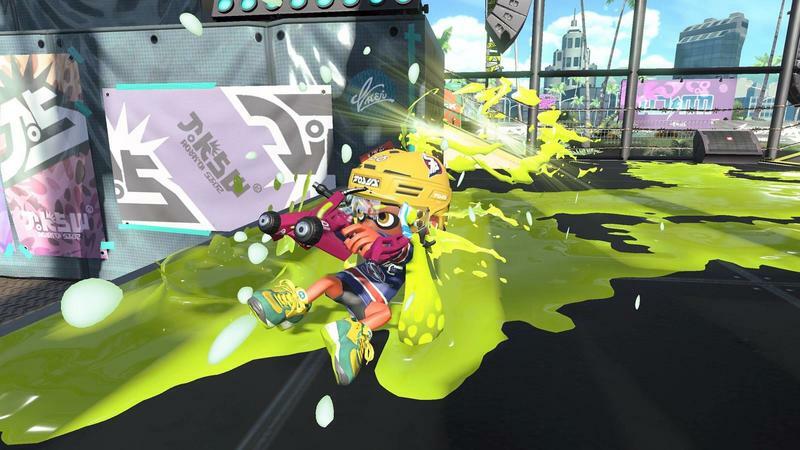 If I consider the Splatoon that I played two years ago and the one I'm playing today, there are some things that have lingered that frustrate me as a player of modern games. You still can't tweak your loadout during lobby time, for one. You can't even back out of the lobby without quitting the game or waiting for the timer to restart. You either have to hop into the Switch menu and close the title or quit in between matches. 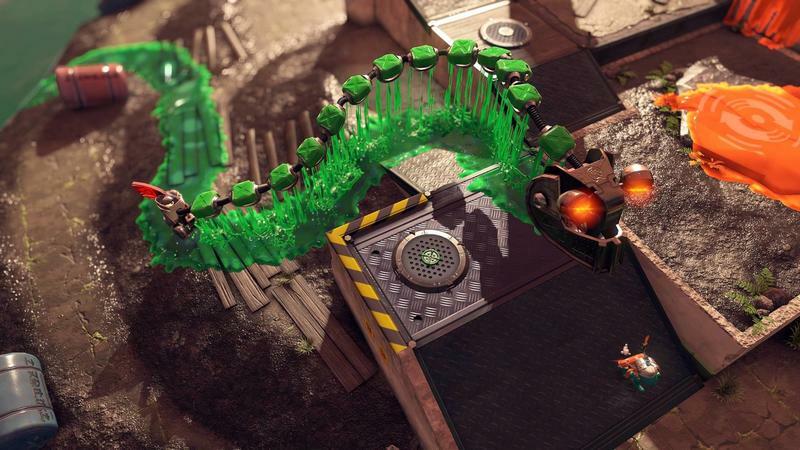 With the first game, each play mode only featured two maps for four-hour blocks. So, every four hours, those two maps would refresh. You couldn't vote on which to play, and you were limited to the selection made by the game. The same exists here, only the rotation has been cut to two hours. What really stinks is landing the same map over and over in that block. I've had stretches where I've played the same map five and six times straight before seeing the other. 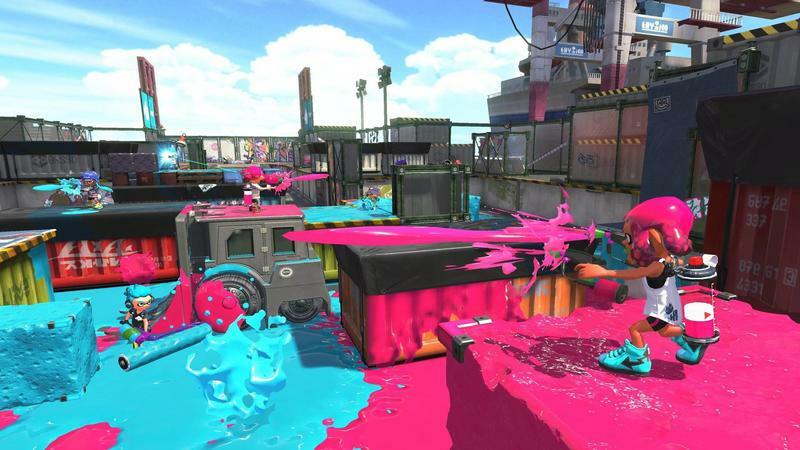 Nintendo's said they want players to have the chance to get familiar with each map. I'd argue that that comes with time and rank. If you hit level 20, for instance, you probably have a pretty good feel for all the maps in a standard rotation. 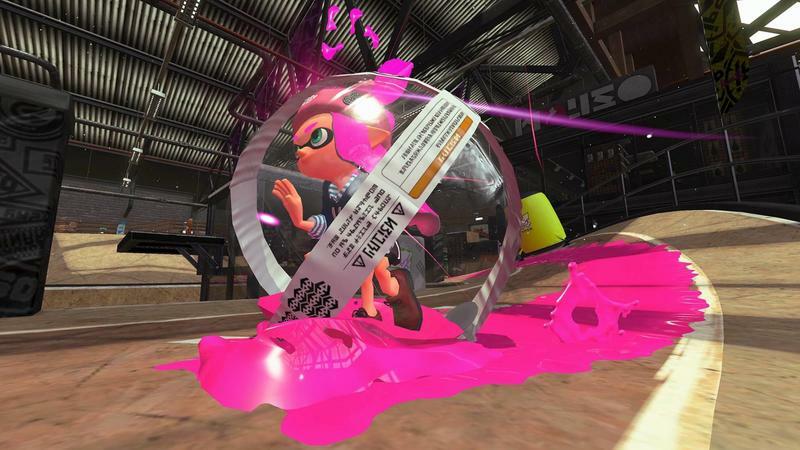 Here, you might go days or weeks, depending on your luck, without seeing a map hit the Regular Battle rotation. Then we have the voice chat stuff. Reviewers, right now, have not had access to voice chat. That will only work with a smartphone app that's running alongside your Switch. 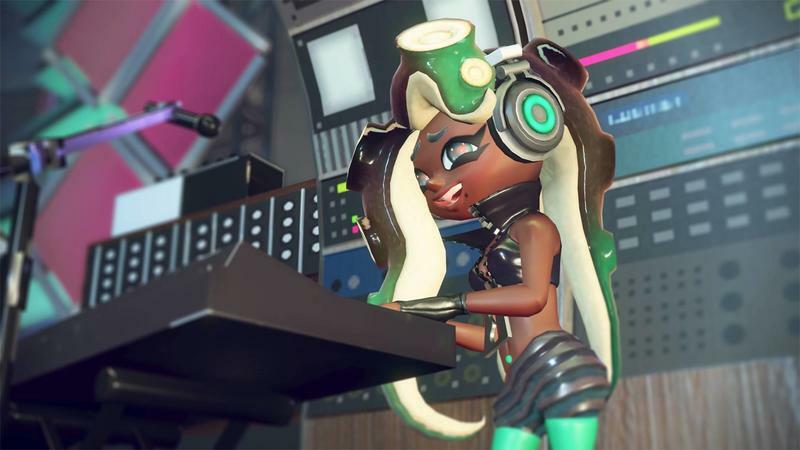 That app doesn't release until Splatoon 2 drops on July 21. As we understand it, you'll need to run the app, join with friends there, hop on the game and speak to one another through your phones with a headset while you play. Sounds cumbersome, right? The fact is, the jury's still out on that. We'll be covering how it feels in the days and weeks after release. Finally, there are no bots. 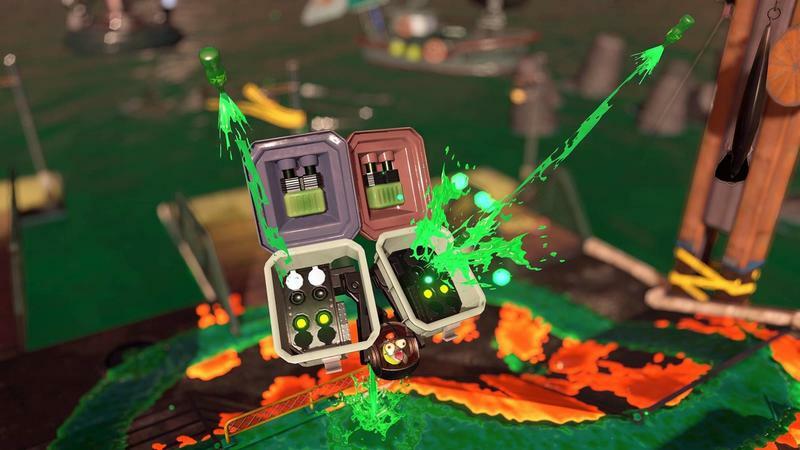 If you want to take the game offline and practice Turf War, which is something you'll totally want to do if you travel or commute with your Switch, you won't be able to match up against bots to get better. You can play locally with other Switch players, but not with bots. 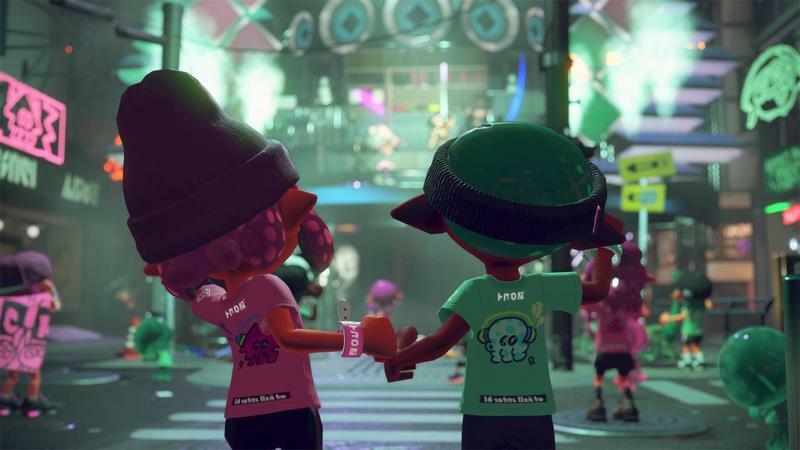 The core of Splatoon 2 remains marvelous. This is a great game that every Nintendo Switch owner should buy. I just find myself wondering if what we have here was supposed to be released as DLC for the original. The campaign is fine. It's passable. I wrote about it a bit during the preview period earlier this month. It won't set the world on fire, and I personally feel that it's not enough to support a game meant for the Switch. That is, a game that should be playable portably for as long as it is connected to the internet. 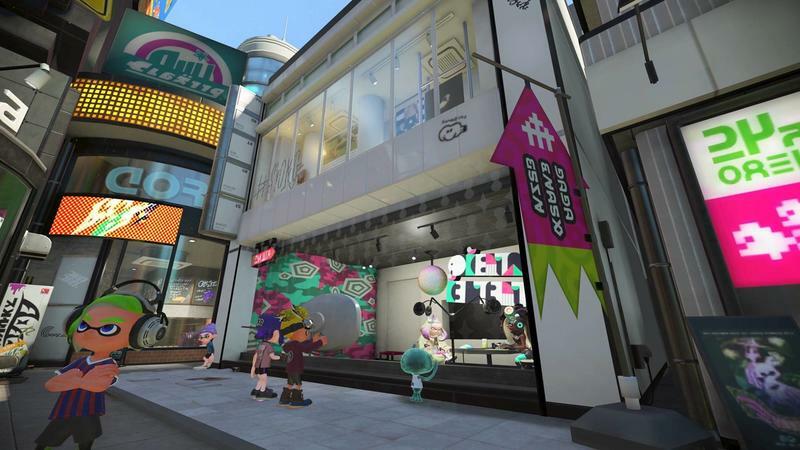 I really feel that a few marquee updates could take Splatoon 2 from great to damn near perfect. 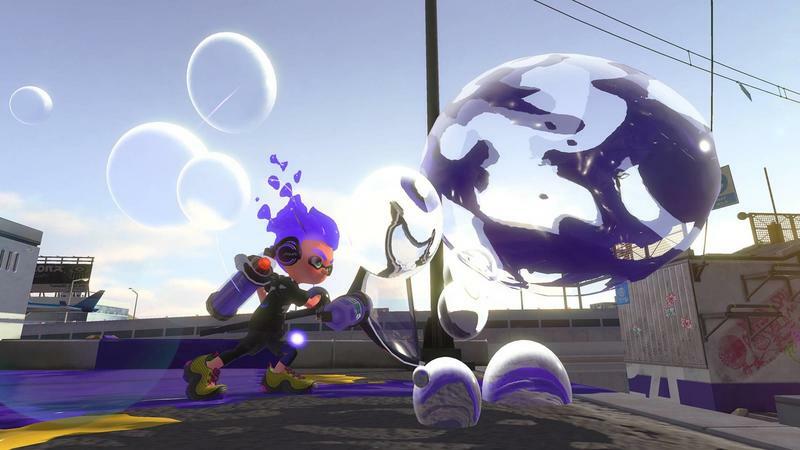 The actual main gameplay is there, but the stuff on the periphery feels ancient when compared to what else is out there in the world of multiplayer gaming. Nintendo doesn't need to ape everything. Let me be clear. We don't need heroes, skins or whatever else. 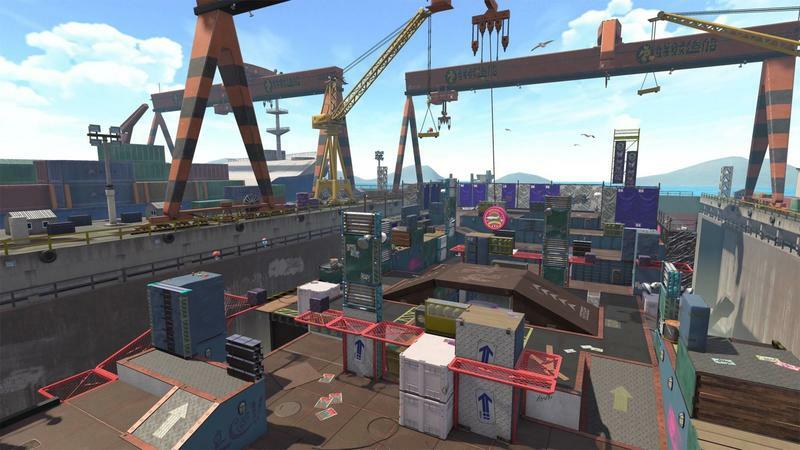 I just think Splatoon 2 is in need of some rudimentary fixes. Let us swap equipment between matches. Give us more than two maps at a time in a given mode. If you still want to rotate, fine, then up it to four. 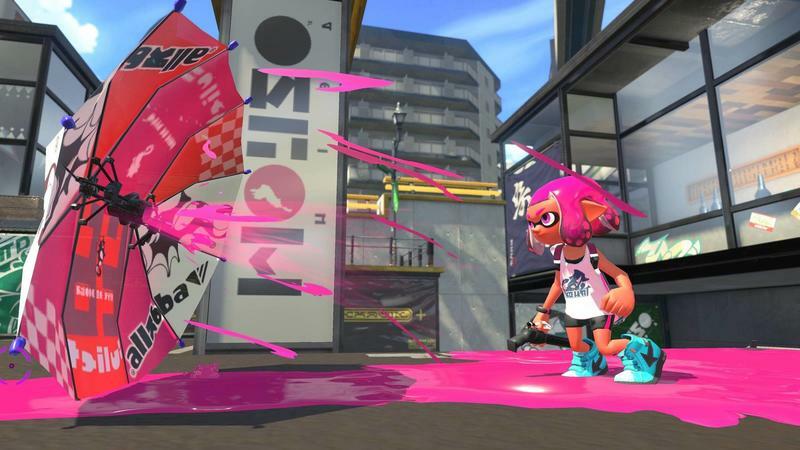 Disclaimer: We received a code to download and review Splatoon 2 from Nintendo.